I loved this one when I first got it, but once again the drawing got in the way of being on the main site. I love the sad look in the eyes. Priceless. OMG, the beanie!! This is just pure genius. Best one on here, to my way of thinking. 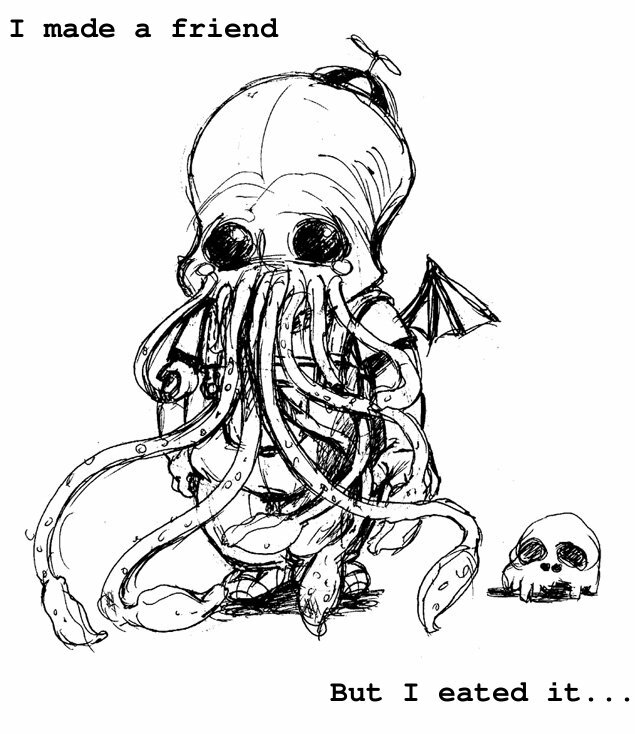 Awwwww poor cthulu! This just totally made my morning. ^^ Love that hat.